In the last presidential election, more than a third of voters did not go to a polling place on Election Day but instead voted ahead of time or by mail. “Innovation is required to ensure our work continues to be accurate and complete into the future,” Buzbee added. AP works with a consortium, the National Election Pool, made up of AP and the networks (ABC, CBS, CNN, Fox and NBC), which contracts with the well-respected Edison Media Research to conduct exit polls. Working with AP’s two polling partners, GfK and the National Opinion Research Center at the University of Chicago, AP will test new methodologies and methods during a handful of elections this fall and the early 2016 presidential primaries. The Knight Foundation’s website further describes AP’s research plans and presents our grant proposal. Sally Buzbee is a vice president of The Associated Press and has been its Washington bureau chief since 2010. Under her leadership, an AP investigative team won the Pulitzer Prize in 2012 for its probe of the New York Police Department’s intelligence activities following the Sept. 11 terrorist attacks. 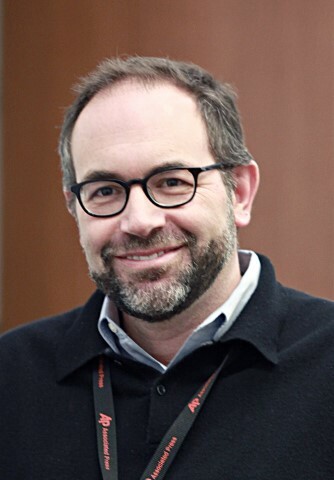 David Pace is a Washington-based news editor for The Associated Press who organizes and supervises the news agency’s election race calling operation. For each national election, he recruits and trains a team of about 40 of the AP’s top reporters, editors and managers to call winners in more than 4,000 national and state races. Emily Swanson has been a member of the Associated Press polling unit in Washington since 2014. She designs survey questionnaires, analyzes polling data and writes about public opinion. She previously worked in survey research for Pollster.com and the Huffington Post. The fiscal crisis in Greece, plans by the U.S. and Cuba to open embassies in each other’s capital and tennis competition at Wimbledon are among the many developing stories in recent weeks that AP journalists have covered in a live blog type of presentation. The filing system, called The Latest, presents short blocks of text on a running story in a broadcast-friendly fashion that works for both online and on-air use. When used, The Latest replaces AP’s current breaking news filing protocol for text — in which a story is first reported as a so-called NewsNow of 130 words or less containing key developments, and then written-through again to restore all the details and background. Instead, AP journalists file time-stamped updates stacked on top of each other so that The Latest becomes a running file showing how a story evolved. “The Latest allows us to imbue developing stories with a you-are-there quality, which makes them feel all the more fresh and current,” said Director of Top Stories Kristin Gazlay. At least 200 newspaper, television and radio websites featured The Latest when AP used it for the NCAA Final Four games, including many TV network affiliates. The Latest also is increasingly gaining traction on Twitter: Versions of it showed in Twitter’s top 10 rankings for each of the three days of the U.S. Memorial Day weekend. The bottom line is that The Latest has turned out to be effective in showcasing the newest information about a story in a way that is palpably fresh, fast and even more useful to customers. AP plans to expand its use. The Associated Press today published a gripping tale of the life of Myint Naing, one of hundreds of former slaves rescued and returned home after a yearlong AP investigation exposed extreme labor abuses in Southeast Asia’s seafood industry. AP documented how slave-caught fish was shipped from Indonesia to Thailand. It can then be exported to the United States and find its way to the supply chains of supermarkets and distributors, including Wal-Mart, Sysco and Kroger, and pet food brands, such as Fancy Feast, Meow Mix and Iams. The companies have all said they strongly condemn labor abuse and are taking steps to prevent it. To highlight the human side of the story, Indonesia-based reporter Margie Mason, who has worked as an AP correspondent in Asia for the past 12 years, sought the assistance of her colleagues and interviewed more than 340 former slaves. AP reporter Margie Mason (AP Photo). Choosing a single story to tell, among many heartbreaking ones, was the biggest challenge. Read the AP story and explore the interactive report, which features video of Myint’s emotional reunion. Is that a halo over President Barack Obama? It sure looks like one, especially to critics of Obama and The Associated Press, who have complained in blogs and on Twitter that AP photographers sometimes give the president a heavenly glow. The criticism was seen and heard repeatedly this week after AP distributed photos showing presidential candidate Ted Cruz with a gun, seen in a wall poster, juxtaposed so that the pistol was pointed at his head. The halo is sometimes caused by the backlights hung by event organizers. Still photographers often work directly in front of and below the subject in a security area known as the buffer zone. When looking up from that area, so-called rim light, which is caused by the backlights wrapping around the subject, can be particularly difficult for photographers to avoid. So they use it to make the subject pop from the dark background or because it makes for an interesting image. 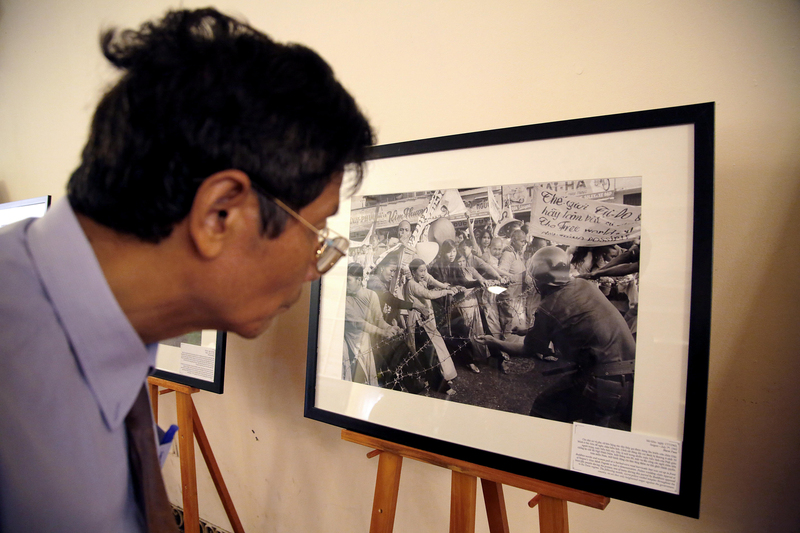 Associated Press photos documenting the Vietnam War have gone on public display in Hanoi after a preview and reception highlighting the impact of the images at the time of their release. They include Malcolm Browne‘s image of a Buddhist monk set aflame in protest, Nick Ut‘s picture of a young girl running naked and in pain after being scorched by napalm and Eddie Adams‘ stark frame showing a South Vietnamese general executing a suspected Viet Cong officer with a pistol shot to the head. 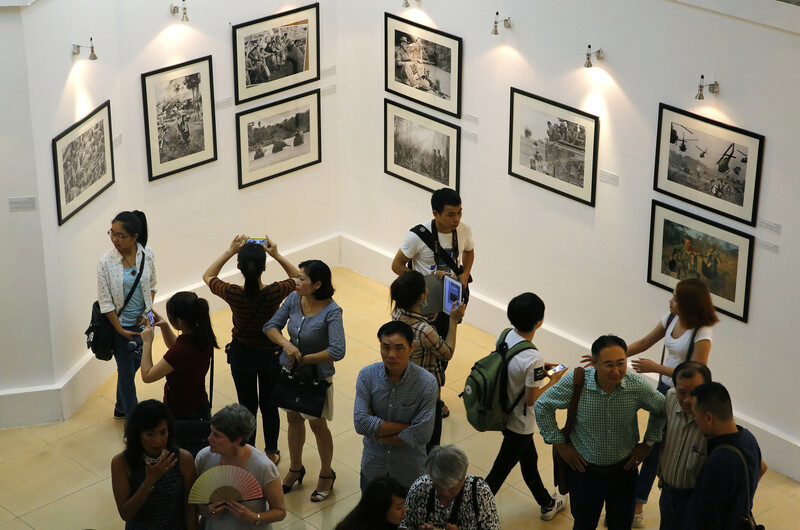 “Vietnam: The Real War,” a total of 58 black-and-white photos, opened to the public on Friday, also drawing a large number of Vietnamese media. The selection is drawn from a book of the same name, AP’s photo history of the war, published in 2013. 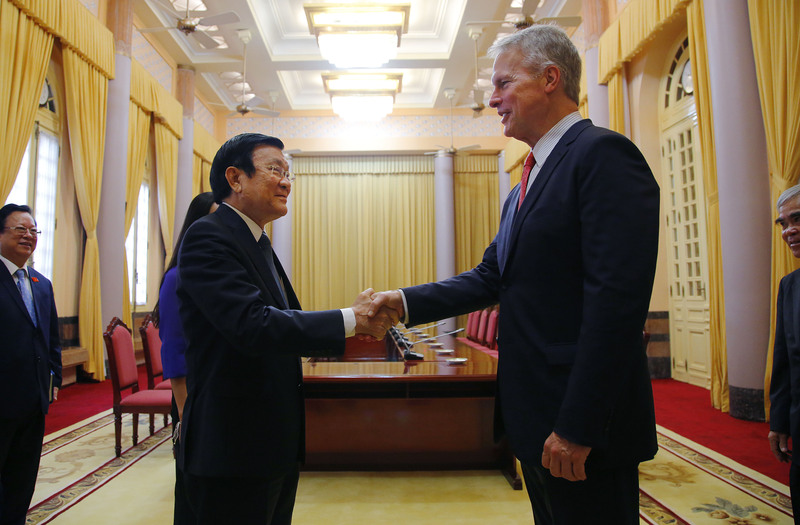 The exhibit will run through June 26 at Hanoi’s Exhibition Hall, after previous displays in New York and London. Several AP people took part in last week’s Arab Media Summit in Dubai, a large annual gathering of journalists and news executives from across the Arab world. This year there was substantial interest in user-generated content — how we verify the accuracy of photos and video we find on social networks. Of course, some news organizations devote little attention to such verification, but most of those we talked to in Dubai understood its importance. News media have to be better than relayers of “whatever’s out there”; viewers look to us to vet what’s true and what’s not. And, ultimately, the truth will win out: false or deceptively labeled images are usually quickly discovered, and the reputations of news organizations that use them are tarnished. In my presentation, I showed a number of photos that turned out to be false, or labeled in order to mislead. They included a fake photo of the Statue of Liberty with Superstorm Sandy whirling around it and a fake video supposedly showing a young boy pulling a little girl to safety from an attack in Syria. Our Beirut bureau chief, Zeina Karam, and AP Dubai business writer Aya Batrawy gave a separate session on reporting on the Middle East. Karam spoke about the challenges of reporting on the Syrian civil war while not being able to be in Syria outside of government-controlled territory. Batrawy, who recently filed several stories from Saudi Arabia, said she’s often asked if it’s a hindrance or a help to be a woman journalist in that country. She said being a woman has given her a great advantage because she has access to half the population of women that often male journalists are barred from approaching. 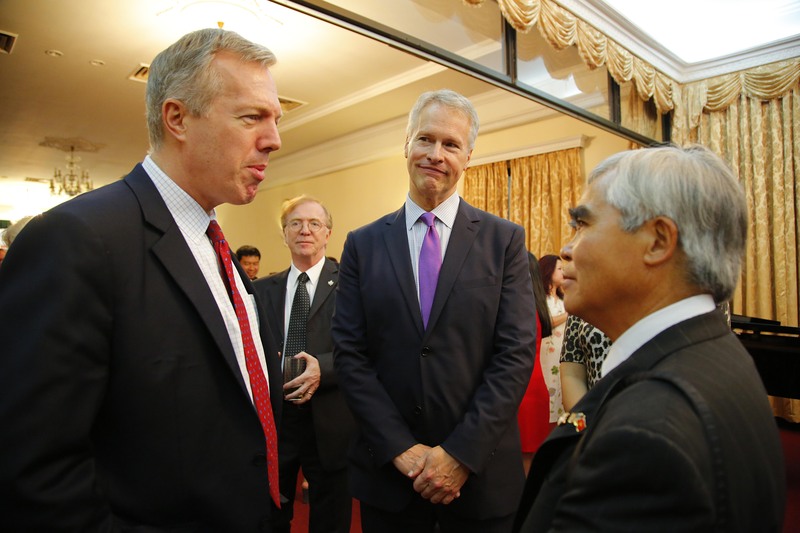 John Daniszewski, AP senior vice president for international news and a speaker last year, joined the AP team at the forum, along with staffers from AP’s commercial operations in London. 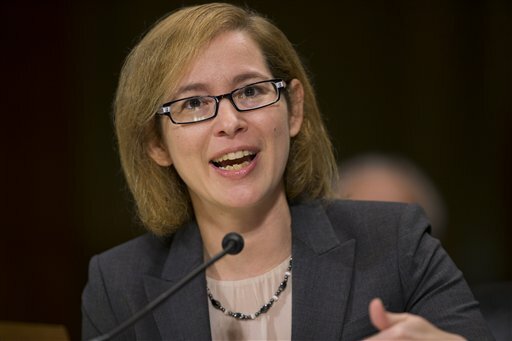 Associated Press General Counsel Karen Kaiser today urged lawmakers to enact bipartisan legislation now before the U.S. Senate to strengthen the Freedom of Information Act and make it work better. In testimony delivered to the U.S. Senate Committee on the Judiciary in Washington, Kaiser detailed the many problems journalists and the public face when seeking access to public documents. improving efficiencies for FOIA requesters. reducing the troubling backlog of cases. driving agencies to decisions that better align with FOIA’s goals. ensuring government operates from a presumption of openness in most cases. 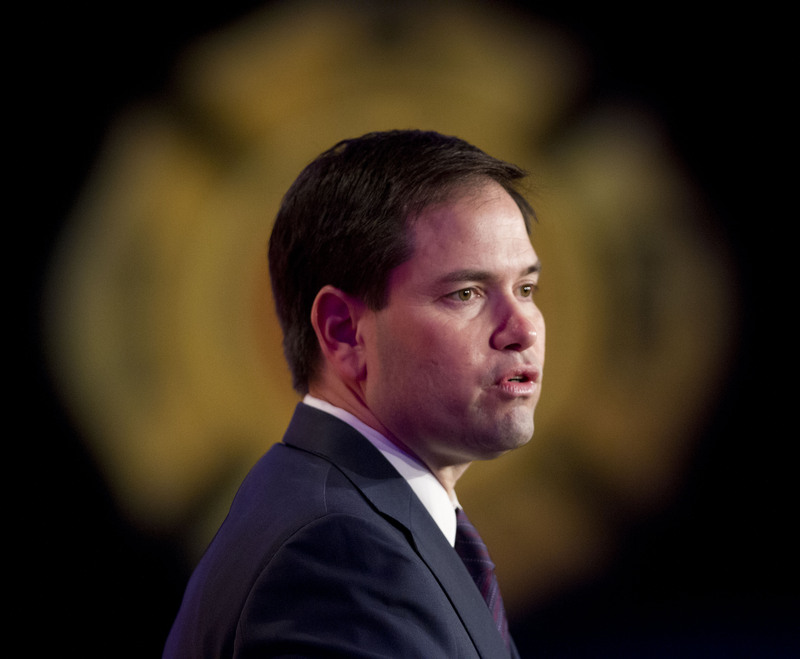 AP is a leading and aggressive advocate for transparency in government. As detailed in the news organization’s 2014 annual report, requesting public records and fighting for access around the world have long been AP priorities. AP journalists file many hundreds of requests each year for government records and other information under FOIA and state open records statutes, many of which resulted in important stories that the public would otherwise not have known. Last week, AP Executive Editor Kathleen Carroll detailed some recent government access challenges, on NPR’s “On the Media,” and in March AP President and CEO Gary Pruitt wrote a column published in newspapers across the country that explained how the government is undermining “right to know” laws. 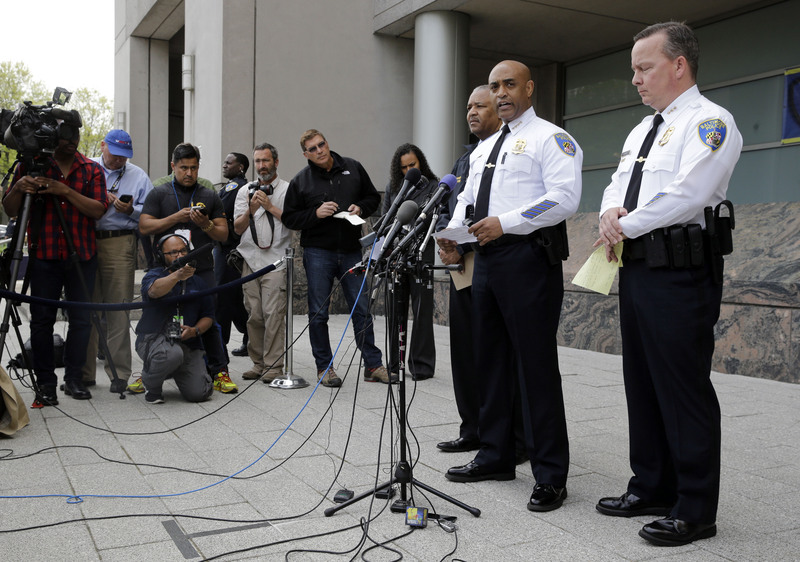 A coalition of news organizations, including The Associated Press, has called on the Baltimore Police Department to release immediately its report on the death of Freddie Gray that it has submitted to the Maryland state’s attorney. See the letter sent to the police department. Henri Huet, one of the most admired photojournalists of the Vietnam War, is being remembered in an exhibit of his work in France. “Henri Huet: Vietnam 1965-1971” opened last week and will remain on view until May 8 at the Bidouane Tower in St. Malo, the historic walled city on the coast of Brittany, a region where the Vietnamese-born photographer passed much of his childhood. In six years with The Associated Press, Huet covered more combat than any other photojournalist in Vietnam, sharing danger and hardship with U.S, and South Vietnamese troops. His work reflected an artist’s appreciation of the landscape of his native country and the plight of its people caught in war. The risks caught up with Huet in 1967 when he was severely wounded by artillery at Con Thien, a U.S. Marine outpost in northern South Vietnam, and spent months recuperating from leg injuries in a New York hospital. He returned to Vietnam in mid-1968, but a year later AP, worried about his safety, transferred him to Tokyo, an assignment he regarded as unwelcome exile. Huet was recalled to Vietnam in 1970 to cover the war in Cambodia and Saigon forces’ invasion of Laos in early 1971. During the latter operation, on Feb. 10, 1971, he was killed, at age 43, in the shoot-down of a South Vietnamese Air Force helicopter. 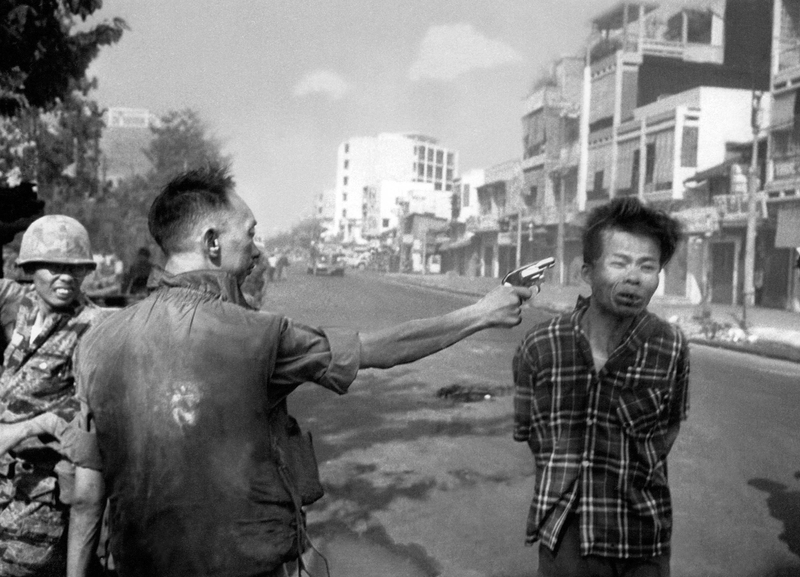 Many of Huet’s photos appear in “Vietnam: The Real War,” AP’s photo history of the conflict that was published in 2013. 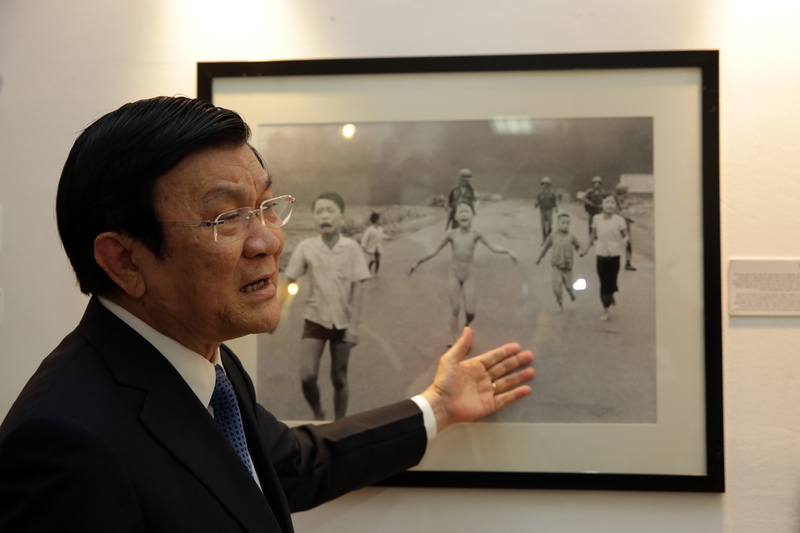 His work is also represented in a London exhibition of AP’s Vietnam images, on view to May 31 at the headquarters of The Guardian, Kings Place, 90 York Way. Reinforcing AP’s long-standing commitment to state news coverage, we’ve hired more than a dozen journalists over the past year to leverage the power of AP’s cooperative and expand our state reports. A “Shared News Desk,” which began at the Central region desk in Chicago as a pilot project last July, will begin operating at AP’s three other U.S. regional news desks, in Atlanta, Philadelphia and Phoenix, on April 20. The desk makes two important improvements to our state reports. It frees AP journalists to produce more original reporting and increases the number of state news stories on the wire. The move dovetails with the creation earlier this year of a state government team focused on accountability and explanatory reporting across the country. Here, Brian Carovillano, managing editor for U.S. news, explains the new initiative and how it’s already paying dividends for members and bolstering AP’s domestic news operation. 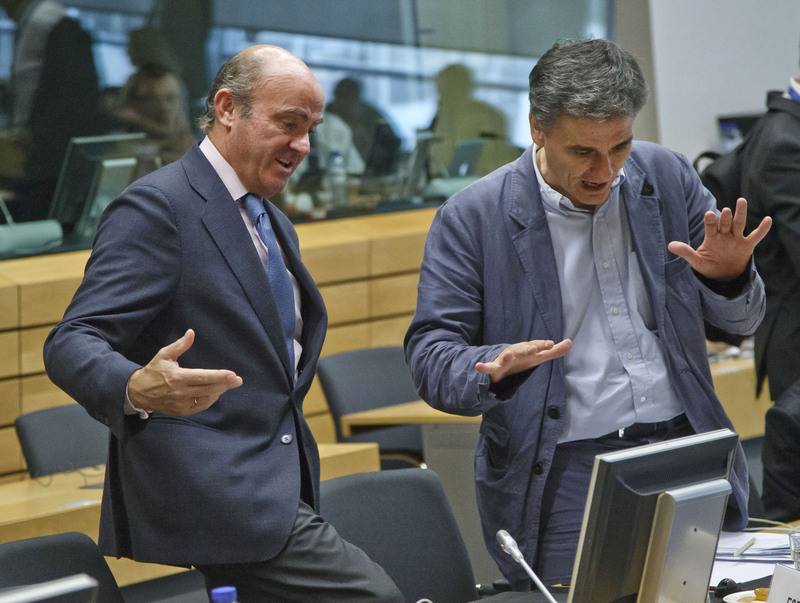 What does the Shared News Desk do? The goal is simple: Get more content onto state wires at key times for AP members. To accomplish this, each desk identifies the best stories from members of the AP news cooperative in their region, rewrites those stories and distributes them in time for the morning rush. What types of content do Shared News Desks produce? 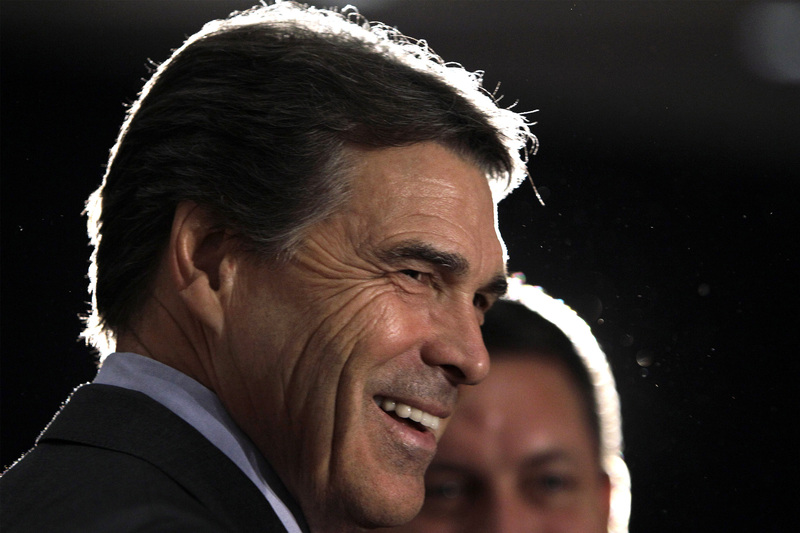 Their output augments AP’s strong original reporting from every state. The Shared News Desk produces briefs and longer stories for print, online and radio and TV broadcasts. They also compile packages of feature stories shared by AP members that move in advance so other members can use them. The desks will ensure a steady flow of fresh stories for crucial drive-time broadcasts and morning online traffic. The desks strive to find a mix of stories from both print and broadcast members and a diversity of datelines in a given state. They focus on surfacing the types of stories customers in each state have told AP that they most value. For example, before the Shared News Desk, the news editor in Kansas City spent three hours per week preparing the weekly Member Exchange packages for Kansas and Missouri. The Shared News Desk now handles this responsibility. Its launch nearly coincided with the racial unrest in Ferguson, Missouri, enabling the Missouri team to focus more time on one of the top stories in the world. In Texas, the Dallas bureau created an additional reporting shift thanks to time freed up by the Shared News Desk. And when the first U.S. Ebola patient was identified in Texas, the Dallas bureau was able to dedicate more reporting power to that top global story because the Shared News Desk was helping out on other Texas stories. How much content will the desks produce? The first Shared News Desk in Chicago has produced up to 1,200 stories per month, or 15-20 percent of AP’s total monthly text output in the 14-state region. A significant plus for AP members and subscribers is that more than half these items move before 4 a.m., a big increase over the amount of news previously available to them during those hours. This addresses a frequent request for more early-morning content. With the Shared News Desk in operation, the state bureaus in the Central region have generated about 400 additional original AP stories in an average month than they did previously. The response has been quite positive. Members in the Central region where the desk has been up and running for nearly a year have noticed a difference and have told AP they appreciate the infusion of state stories arriving early in the day. We plan to build on this success and make our state reports even more timely and useful for our members across the country.